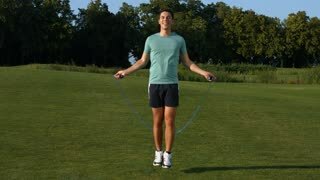 Guy jumps on a skipping rope on a green meadow. 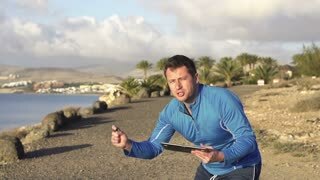 Guy engaged in sports. 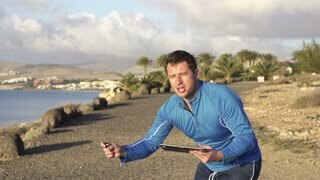 Man doing sports a workout on a skipping rope.